Getting your projects under control before going on holiday can create a lot of stress, but by using an effective project management system (we swear by Asana) you can easily prioritise your workflow, improve your time management, and make sure that you’ve got all your ducks in a row for when you return. By taking the time to organise your projects into a system like Asana, you can enjoy your beach time without that dreaded ‘what have I forgotten’ feeling. If you haven’t used a project management system like Asana before, our team can help you decide which one is right for you, and help you with the set up. Scheduling your social media posts in advance means you can turn your phone off for a few days and rest assured your social feeds won’t grind to a halt. Try out a free-30 day trial of Hootsuite to get a feel for how the automated function work – you’ll be amazed at how easy it is to schedule, post, and keep on top of your engagements across all your social channels. Business plans start at $11 per month, which will save you time when it’s not the holidays too! Setting up an ‘out of office’ on your work email is nothing new, but did you know that there are many more automated email functions available? For instance, with Outlook you can define specific people or words in the subject or body of the email, and set up rules for how these emails will be replied to. 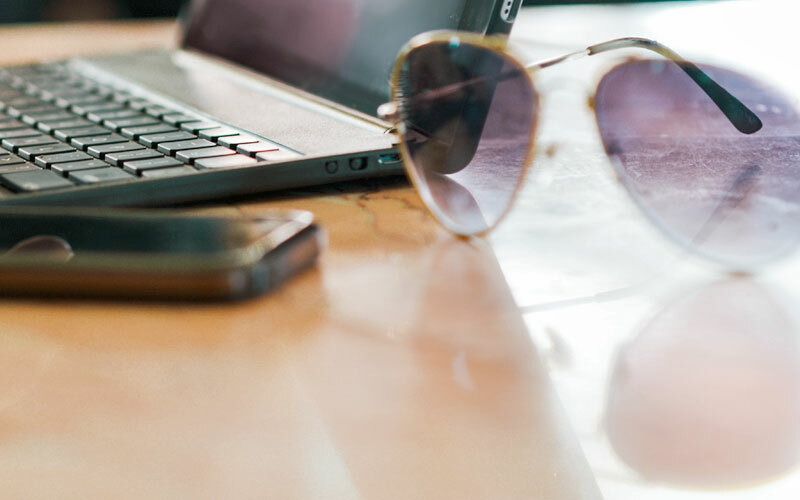 You can choose to have certain important emails forwarded on to a personal account that you’ll be monitoring over your holiday, and have others automatically sent to trash to save that mammoth email clearout on your first day back in the office. As much as we all love a handwritten Christmas card, the cost and environmental impact of sending Corporate cards has become a hot-topic in recent years. There are plenty of great apps and websites that can help you create digital Christmas cards, and we guarantee your customers and contractors will appreciate your efforts to do things a little smarter. We love EKarda because it let’s you import your contacts from a spreadsheet or direct from Outlook, Gmail or MacMail, and you can automate a scheduled dispatch. While you’re at it, why not use a digital app to run your office Secret Santa? Elfster is a favourite here at MCSA. Many of our business customers are surprised to find out just how much of their day to day work can be automated by using a CRM workflow. Workflows are triggered when a certain event occurs in the system, such as a record being created, and can automatically perform actions such as sending confirmation emails, or notifying the relevant person in your team. Depending on the CRM you are using, workflows can be used to automate much more complex processes, too. If you aren’t yet using a CRM for your business, it’s definitely worth investigating further. You can use a CRM on it’s own or a CRM with marketing automation attached. There are minimal cost options for simpler automation tasks and more detailed options for more advanced automation – your’re best bet is to speak to a business consultant to highlight your overall needs and find the best product to suit. If you’d like to know more about setting up workflows in your CRM and other clever ways you can automate your business functions over the holiday season, give the team at MCSA a call today. Our expert technicians are on standby to make sure you can relax over Christmas without worrying too much about the mess you might be coming back to.